MUTARE - Woes continue to mount on under fire Zanu PF Women's League National Secretary for Administration Letina Undege, with the Manicaland provincial women's league asking First Lady Grace Mugabe to intervene against her. Undenge has lately become under fire from the province for allegedly interfering in provincial activities including causing disharmony in the provincial women's league. 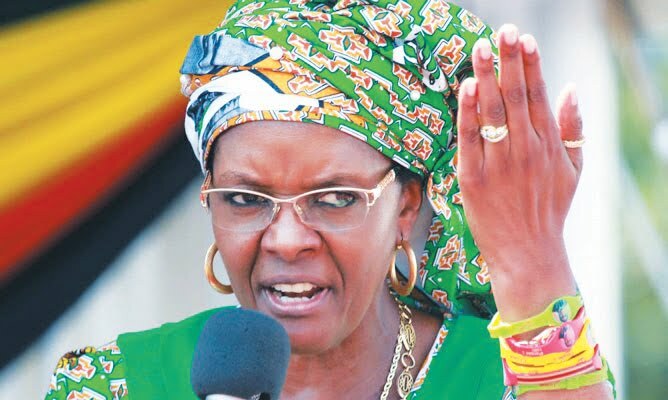 Vice chairperson of the provincial women's league, Betty Benge said they were asking First Lady Grace Mugabe to reign in Undenge whom she accused of dividing them. "Mai Undenge has destroyed the party through her interference in provincial structures. We are kindly asking the First Lady to intervene so that we perform our duties diligently. The First Lady should give Mai Undenge an office in Harare to operate from there," said Benge. Youth league chairperson Mubuso Chinguno alleged that Undenge was influencing and instructing the party's national secretary for administration Ignatius Chombo and other top party leaders to have him fired together with youth league secretary for finance Victor Saunyama. "She is influencing top party officials to have me fired together with our secretary for finance Victor Sauyama. She is also interfering with our activities and this is annoying us," said Chinguno. During a Provincial Coordination Committee (PCC) meeting recently, a vote of no confidence was passed on Undenge's husband; provincial chairperson Samuel Undenge who was accused of working to destroy the party and failing to control his wife. At the meeting, war veteran Gift Kagweda did not mince his words, openly telling Undenge that he had destroyed the party in the province. "Chairman, chairman, chairman, we have never witnessed such a mess in this province before. You are dividing us. We told you long back but you professed ignorance.